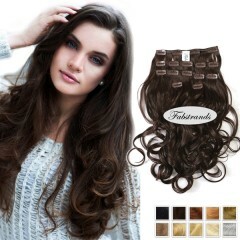 You have picked the right place to shop for cheap clip in hair extensions! Our easy-to-use online catalog features a full line of Remy hair extensions carefully crafted from 100 percent human hair in a wide variety of natural colors and textures. Our affordable clip in extensions match existing hair so well that they make it appear like you personally grew your new luxurious and thick tresses. 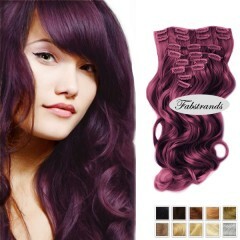 Each of our clip ins provides 7~11 wefts per pack and soft, natural hair that runs from 14 to 26 inches in length! The polymer coated clips are specially designed to not only hold fast to your own hair but also prevent breakage. 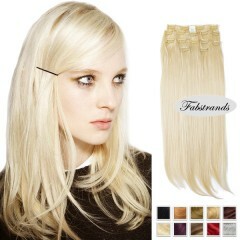 Our clip in extensions are also incredibly easy to use! You can quickly blend both clips and locks seamlessly with your own hair in approximately 10 minutes and remove them even faster. 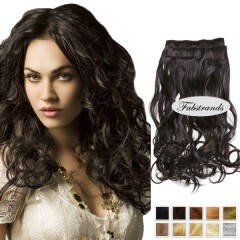 Our weft extensions are also 100 percent reusable. They experience almost no shedding and have a lifespan between six and twelve months with appropriate care and maintenance. Use Remy's human hair clip in locks to make existing hair fuller or create new and unique hair styles that mix and match colors and textures. 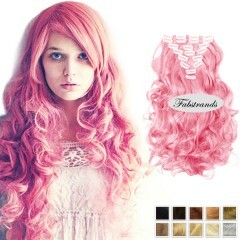 Because these extensions are made from real human hair, you can style them exactly as you do your own hair! Don't worry about using curling products, blow dryers or hair spray. Our hair can handle anything your own hair can handle whenever you need to create a thicker, fuller head of hair!